Lima Locos second baseman John Privitera fields a grounder during Friday night’s game against Grand Lake at Simmons Field. Tyler Miller pitches for the Lima Locos during Friday night’s game against Grand Lake at Simmons Field. The Lima Loco’s Tyler Simon slides safely into third base during Friday night’s game against Grand Lake at Simmons Field. Lima Locos shortstop Tyler Simon fields a pop-up during Friday night’s game against Grand Lake at Simmons Field. 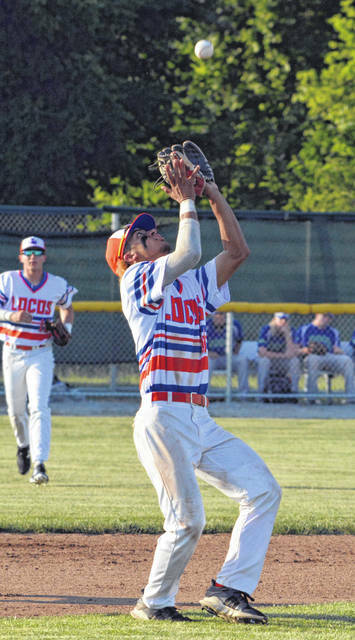 LIMA — The Lima Locos continued to smack the ball around at Simmons Field. But Grand Lake certainly helped them out with a messy eight-error night. The Locos posted an 11-4 victory over Grand Lake to sweep the two-game series Friday night at Simmons Field. Of the 11 runs scored by Lima, only five were counted as earned runs. Lima did knock out 12 hits. 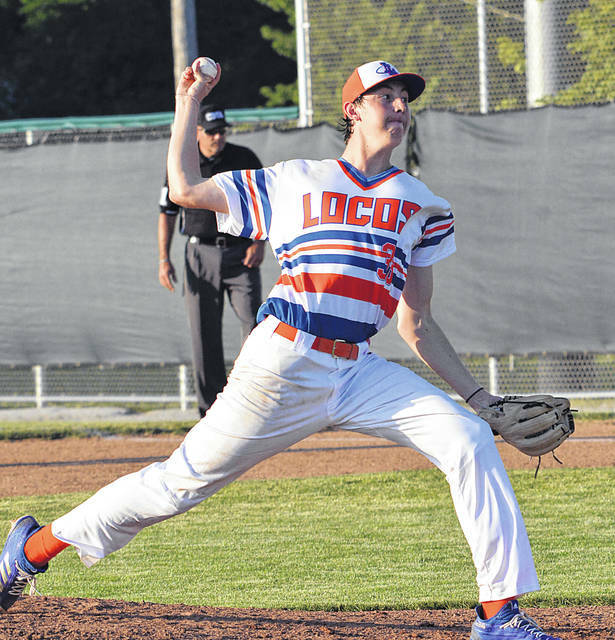 The Locos also played errorless ball for the second straight night. The Locos are 4-2. Grand Lake is 2-4. The Locos’ Jaxon Shirley (Danville Area) went 3 for 5 with a home run and two RBI for the Locos. The Locos’ John Privitera went 2 for 5 with an RBI. Shortstop Tyler Simon was 2 for 4 with a walk. He also made a fine defensive play, going into left field to make a catch. Catcher Braden Doughty made his first appearance of the year and had a single and two RBI. 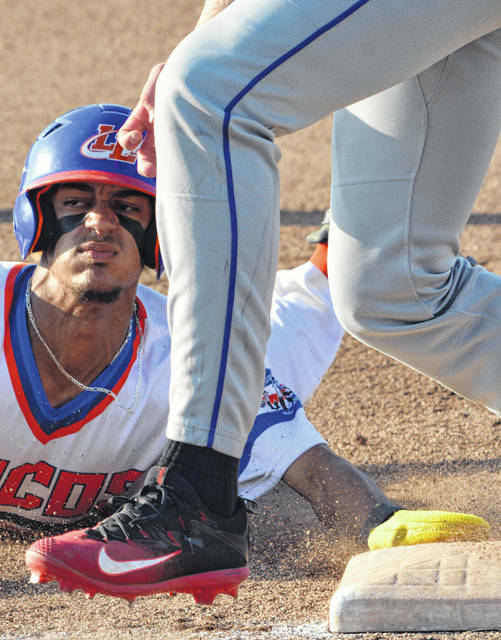 The Locos also stole five bases, with Simon getting to steals. The Locos led 5-0 after three and 7-1 after six innings. Locos right-hander Tyler Miller (Texas A&M/Corpus Christi) started and worked 4 2/3 innings. He gave up one run, earned, on six hits. He struck out two and walked three. Miller, who was red-shirted at college this spring, threw 102 pitches, 62 for strikes. Right-hander Mitch Ebben (UNOH) picked up the win with 2 1/3 shutout, two-hit innings. “Mitch came in and really ate him some innings tonight,” Gaynor said. The Locos scored two unearned runs in the first to take a 2-0 lead. Locos leadoff hitter Privitera doubled down the right-field line. Simon singled to put runners at the corners. Privitera scored from third when the Grand Lake pitcher’s pickoff throw to first went down the right-field line. When the first baseman threw the ball away to third, Simon scored from first. The rest of the night fell into a similar pattern. Lima added two more runs in the second to take a 4-0 lead. Lima pushed its lead to 5-0 in the third with an RBI groundout to third by Nathan Fancher. Grand Lake’s Ryan Stacy cranked a solo home run to right in the fourth to bring the Mariners within 5-1. The Locos led 8-1 after seven. Grand Lake got three runs in the eighth to get within 8-4. Lima got three in the home eighth to make it 11-4. Shirley had a two-run home run in the inning to make it 11-4. Locos notes: The Locos are at Saginaw at 1 p.m. today and return home for a 7:05 p.m. game against Saginaw on Sunday at Simmons Field. 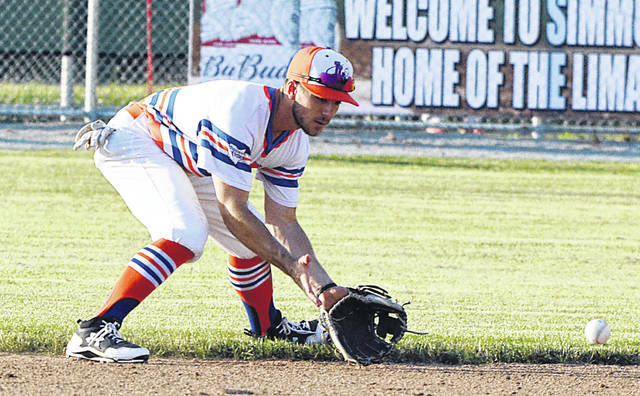 Former Locos outfielder Ross Adolph (Toledo/Van Buren), who helped the Locos to the GLCL title last year, recently signed with the Mets. He was drafted in the 12th round. Catcher Braden Doughty (LSU) and pitcher Trent Vietmeier (LSU) have arrived in camp. Expected to get here by Monday are pitcher Nate Witherspoon (Missouri State) and outfielder Judd Ward (Auburn). Right-hander Brad Croy (Bowling Green/Ottawa-Glandorf) will continue to get plenty of work as the designated hitter. He’ll have his start on the mound skipped this week because of a sore right elbow.